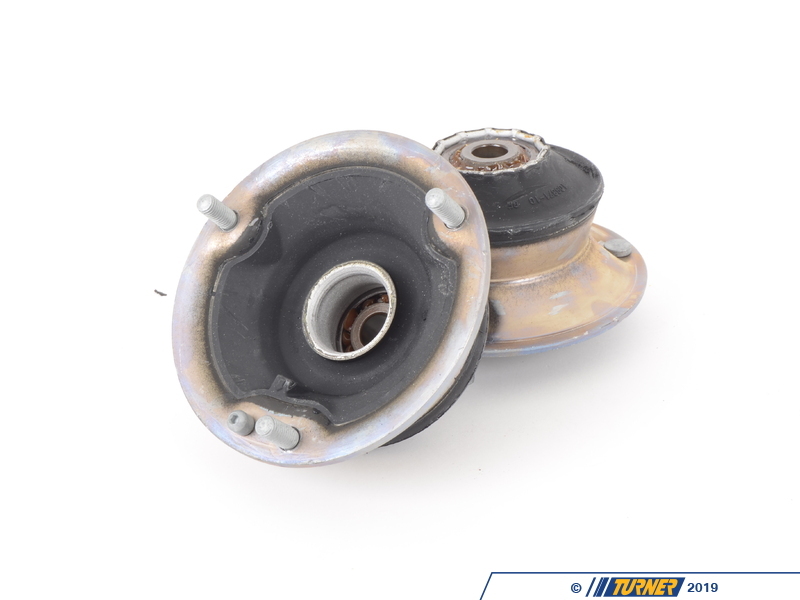 New mounts should be installed whenever you are replacing the struts and shocks on your E90 and E92 3-series. The mounts keep the cabin isolated from annoying noises and impacts. 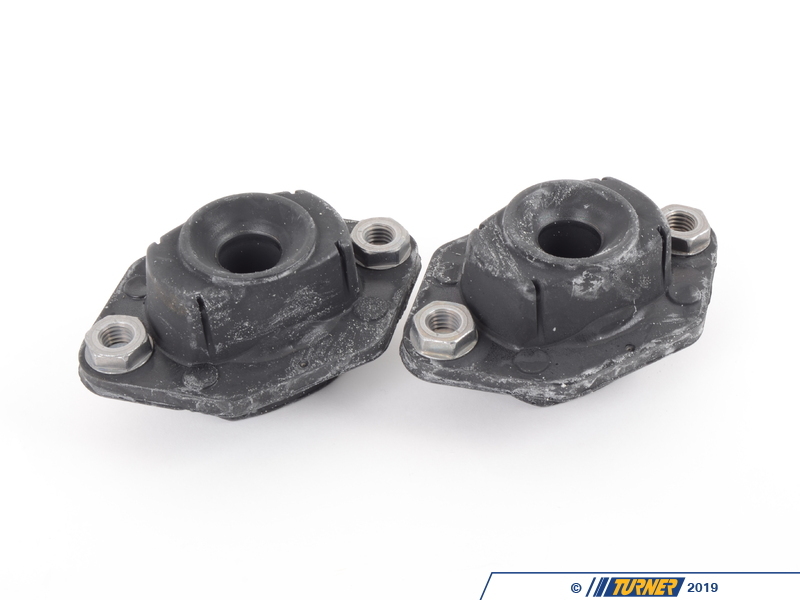 Just like any other rubber mount, these will go bad over time, which allows more harshness and vibration to the chassis along with clunking noises. Replace them now to avoid doubling the labor charges down the road. When installing new shocks, that is the perfect time to also replace the mounts. There is no additional time to install them, no special tools required, and doesn't take any extra time! 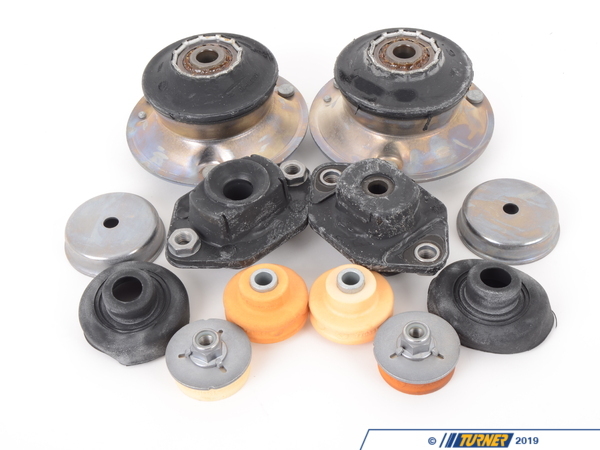 This mount package is for 2006-2012 E90, E91, E92, and E93 3-series with the factory Sport, M Sport, or BMW Performance suspensions. Replacing your struts and shocks? 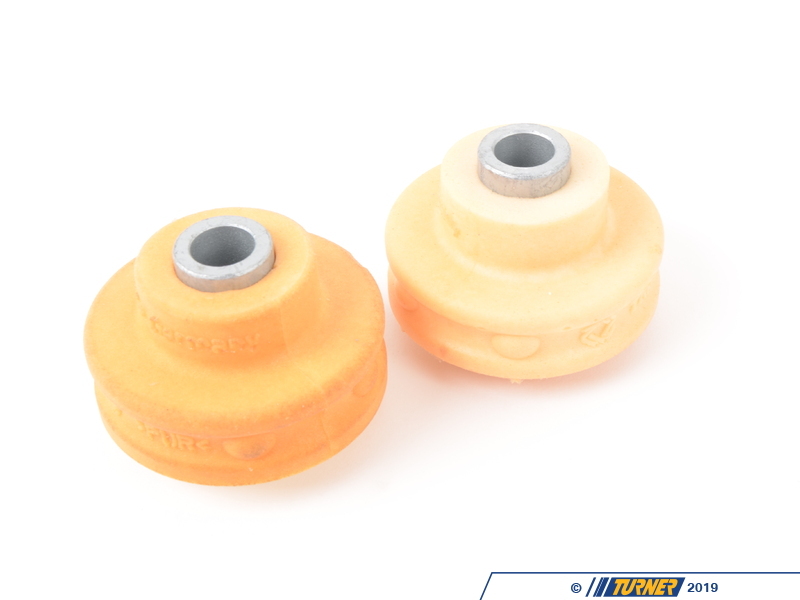 Don't forget the bushings! 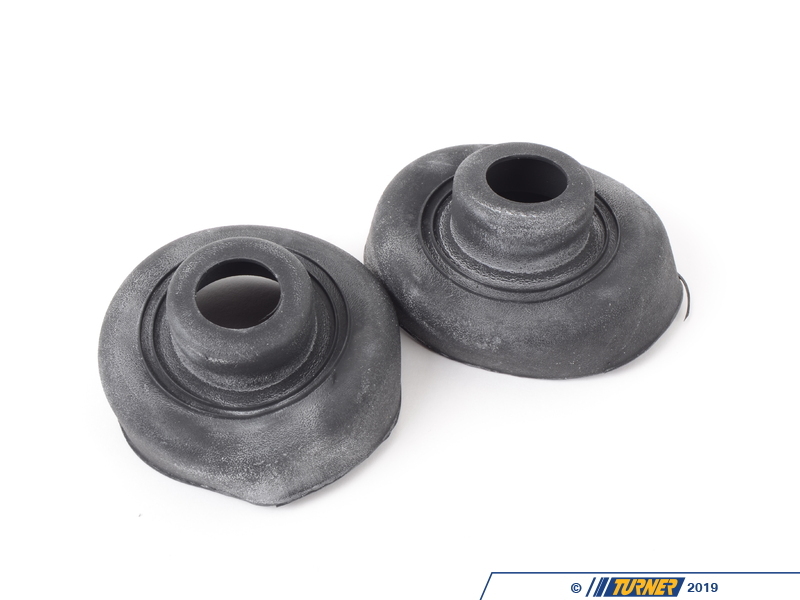 The rubber mounts for the shocks will go bad over time, especially if you drive hard or the roads are particularly rough. 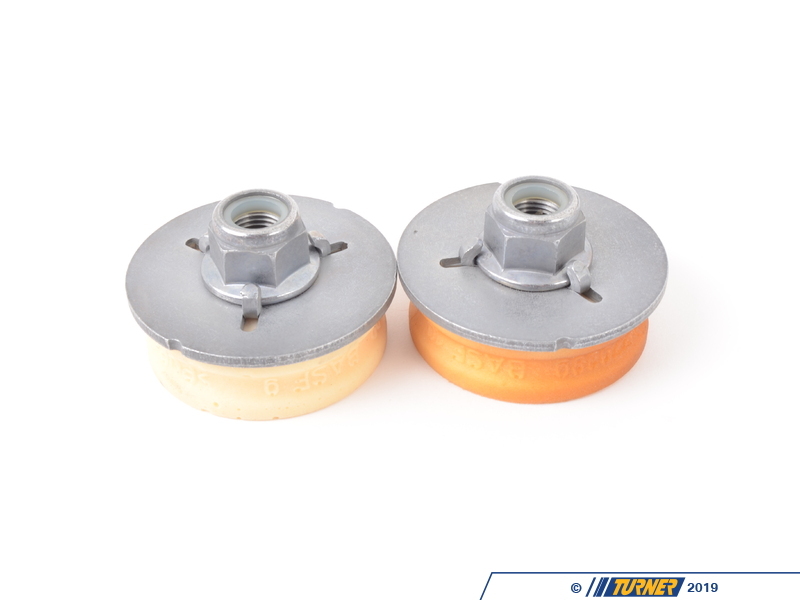 The shock mounts locate the front struts and rear shocks to the car - providing a quiet and vibration-free buffer between the road and the cabin. 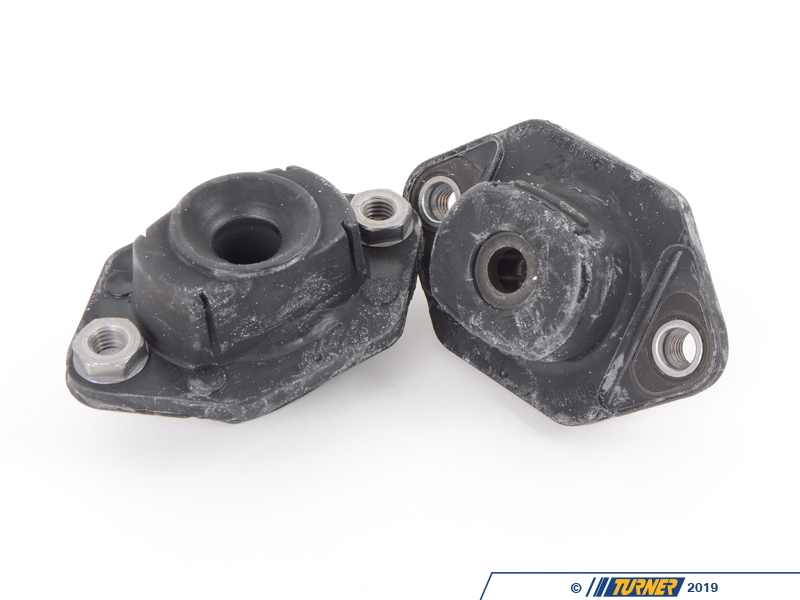 Shock mounts and bushings can wear out just like any other rubber part on the car. 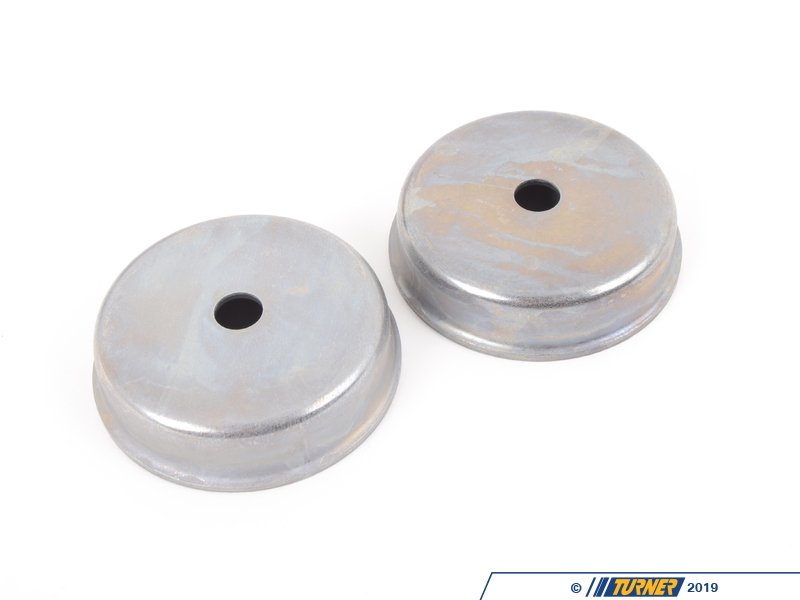 This leads to more noise and harshness reaching the chassis and may complicate your new suspension install. When installing new shocks, that is the perfect time to also replace the mounts. 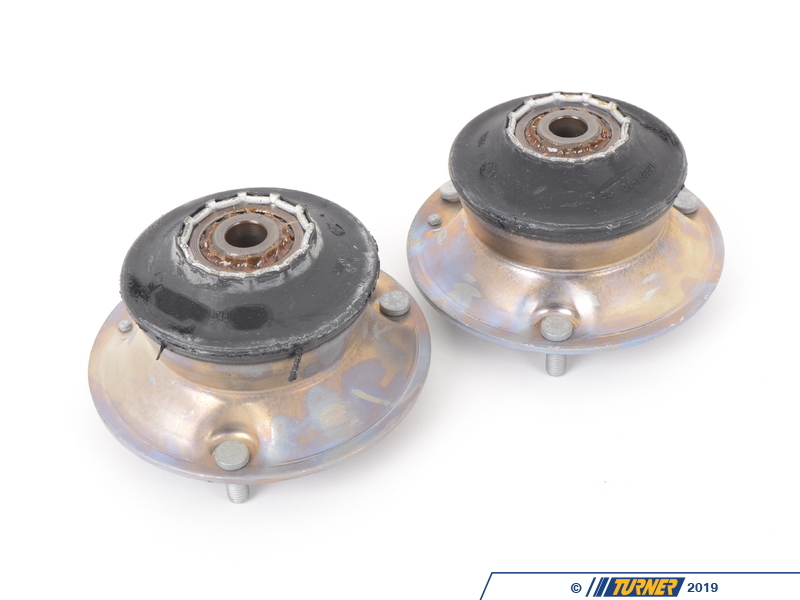 There is no additional time to install them and no special tools are required! If you re-use the original mounts you have the risk of them failing before your next shock replacement, doubling your labor costs.